Lock in a great price for La Villa Florida – rated 9 by recent guests! The room was nice. The bathroom was very beautiful with a tub. Parking is on the premises. The host was very friendly and helpful. The setting backing onto the golf course was very tranquil. We enjoyed our stay. The accommodations were extremely quiet and comfortable. The bathroom was decorated with pretty tile and the shower was huge! The host was friendly and very helpful. He delivered our breakfast to our room! I’d definitely stay here again and highly recommend it! An excellent breakfast served at 8 euros pp was very good value, our room also had a large balcony where we were able to have a picnic supper. The hotel was clean and very comfortable. The host was very helpful. The hotel was further out from the centre of Dieppe than we thought so you need to drive to get to bars/restaurants. Breakfast was lovely. Out of Dieppe town centre, so quite quiet, but not too far to walk back after an evening meal around the marina. Breakfast is definitely worth paying 8€ for too. Freshly squeezed orange juice, egg and ham, croissant, rolls, jam and organic yoghurt. Owner is extremely helpful with tips on local events, places to eat, parking and routes into town. Our room - the junior suite was large, comfortable & clean. The location was a lovely 20 mins walk downhill through the quiet outskirts of Dieppe into the bustling town of Dieppe. Monsieur Noel is an incredibly friendly, patient (ashamedly our French was little to non existent)& kind owner. He offered to collect us from Dieppe in the evening to take us back to our room & even met us on our day of departure after we had checked out with our luggage & took us to the ferry. Breakfast is well worthy at €8 each. Fresh coffee, fresh orange juice, warmed mixture of rolls & croissants, ham & cooked eggs & home made yoghurt. Delivered by Monsieur Noel to our room on a tray before 9am - a lovely touch. After this time you can eat in the dining room. 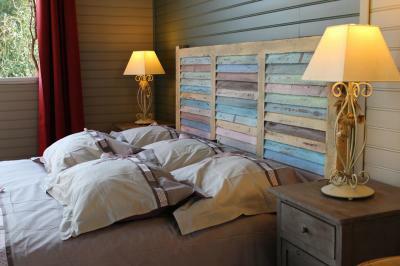 Staying at the La Villa Florida made our first stay in Dieppe a very enjoyable one. Cannot recommend highly enough. Warm welcome from the host. Very helpful and gave a lot of useful information of the area. Very comfortable bed. Big terrace with a view to the beautiful garden. Perfect breakfast, served where ever we wished. Allan was very friendly and accomodating. We flew into Dieppe and he picked us up from the airport, and took us back on our departure. He was also very willing to pick us up from town in the evening. Good breakfast! 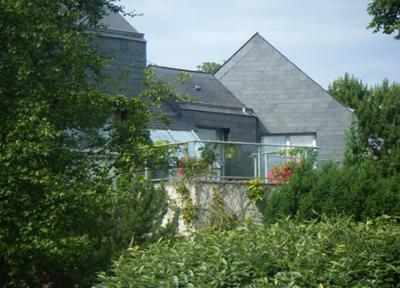 Set in a landscaped garden opening onto Dieppe-Pourville Golf Course, this bed and breakfast is located 1,650 feet from cliffs on the coast. 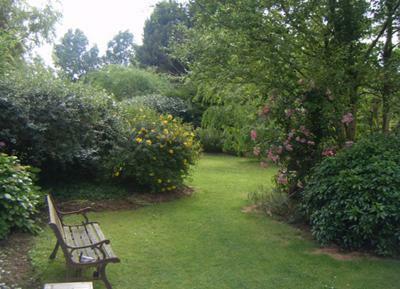 It offers rooms with attached bathroom with free Wi-Fi access and views of the garden or golf course. 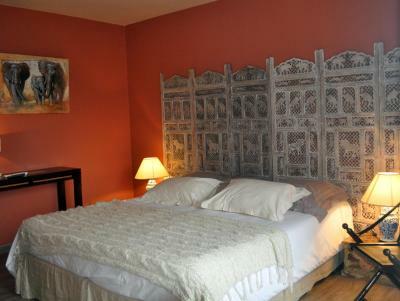 The guest rooms at La Villa Florida are a unique blend of Indian-style decoration and carved wooden furniture. 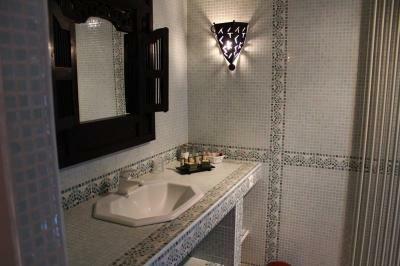 Private bathrooms are designed with colorful mosaic tiles. 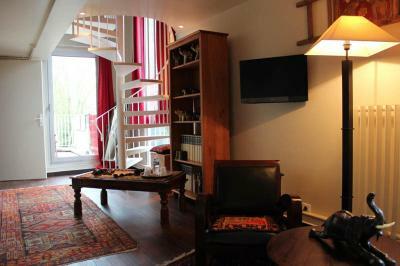 Each room is equipped with satellite TV and most rooms have a balcony or terrace. 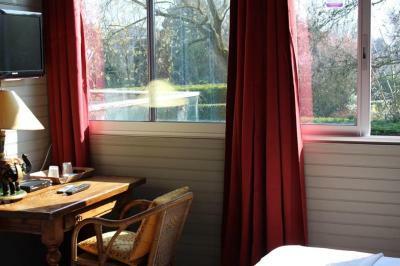 A continental breakfast is served every morning, which can be enjoyed in the breakfast room or in the garden on sunny days. Staff can assist with additional restaurant recommendations for lunch and dinner. A shuttle service between the property and Dieppe train station can be arranged on arrival our at departure. 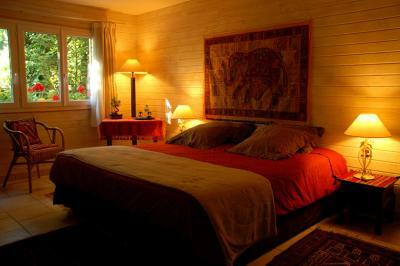 This bed and breakfast is located 3.1 mi from the Dieppe Ferry Terminal. 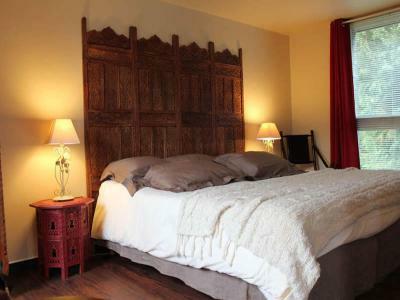 It is only 0.9 mi from the Château de Dieppe and 1.2 mi from swimming beaches. La Villa Florida provides free parking on site. 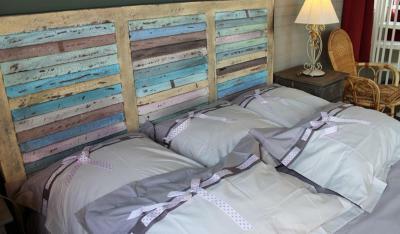 When would you like to stay at La Villa Florida? 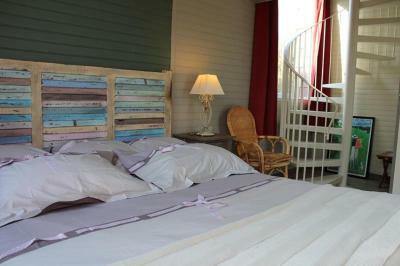 Free Wi-Fi access and satellite TV are provided in this unique room with attached bathroom. 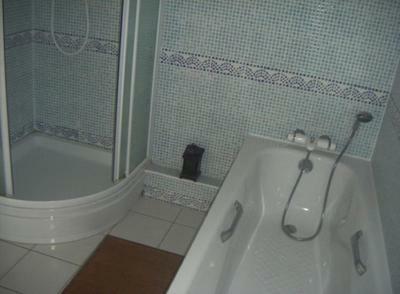 A private bathroom with a shower is also included. 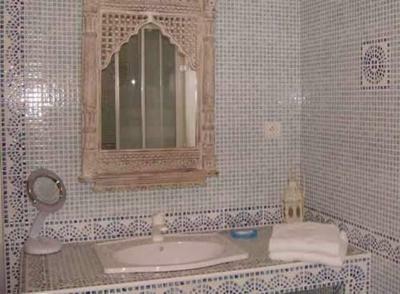 Free Wi-Fi access and satellite TV are provided in this unique room with attached bathroom. A private bathroom with a walk-in shower and a terrace are also included. 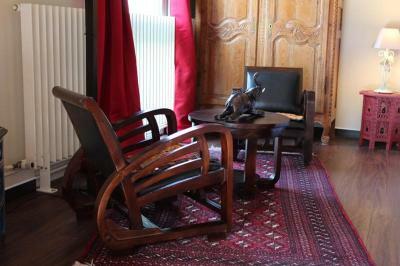 Free Wi-Fi access and satellite TV are provided in this unique room. 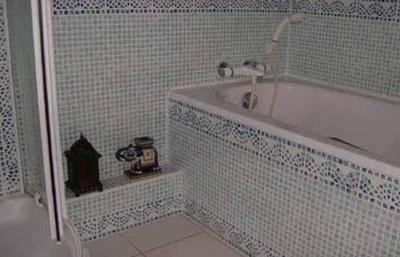 The private bathroom comes with a bath and a separate shower and there is also a terrace offering a garden view. This soundproofed room offers a mini-bar, a flat-screen TV with satellite channels. The private bathroom is complete with a hairdryer and free toiletries. House Rules La Villa Florida takes special requests – add in the next step! La Villa Florida accepts these cards and reserves the right to temporarily hold an amount prior to arrival. 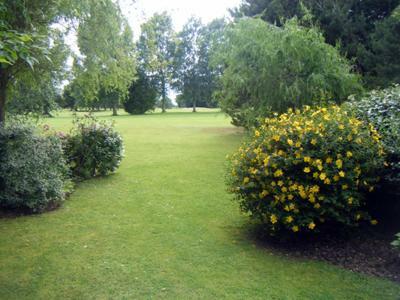 A 20% discount is offered on green fees at Dieppe Golf Course. The smell of incense permeated the entire B&B and was very unpleasant. For that reason we opted to not stay for breakfast. We left the window open all night to help dispel the odor. To far out of the centre. Be aware in the hallway there is a bit of a dog smell (dog is very friendly), mixed with incense. Our room was fine though. Very clean and spacious. Good breakfast.